The QED2000 is a complete solution that allows for clinicians to deliver the utmost quality care to patients by providing an extremely accurate ECG signal in every instance and hospital setting. 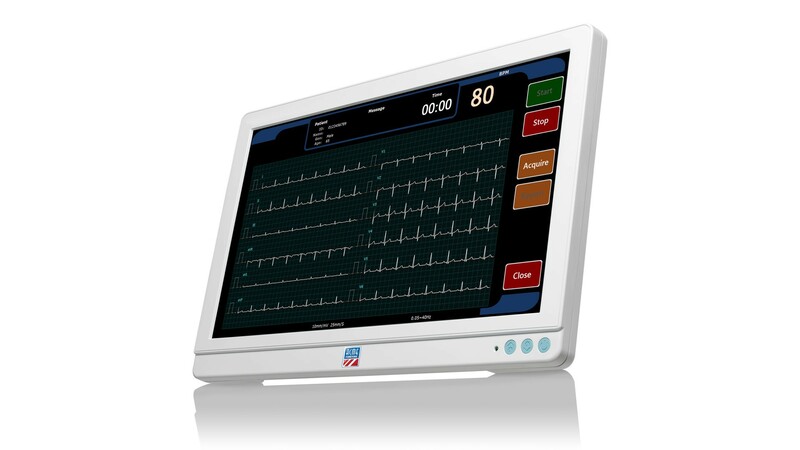 It is a tablet that assures fast and accurate 12-lead ECG acquisitions. Our QED2000 is equipped with user friendly touch screen capabilities on a high resolution display. This allows for a speedier workflow when performing diagnostic ECGs. It also provides one-touch accesses to aquire, print and save ECG reports to an external storage. The QED2000 is cleared by CE (0112) in Europe for the product category: 12 Lead ECG Recorder (certificate): click here to view certificate. The QED 2000 assures fast and accurate 12-lead ECG acquisitions. It features an advanced design and ergonomics to enable the operator to quickly and easily control the unit.